Christmas reminds me of Bethlehem. Every year, during the Festive Season there is room for everyone and everything, but not for Jesus. We can be so absorbed by ‘stuff’ and busy-ness can leave the Lord to be an afterthought. To help with the priorities consider Advent. This year in Australia Advent is from Sunday November 27 to Saturday December 24, Christmas Eve. The focus for Advent is the return of the Lord Jesus Christ. Advent helps bring Christmas into context. Most of the popular Christmas celebrations are designed to nullify the sadness and pain so prolific throughout the world. In the hysteria of shopping and feasting, reality can be shoved aside. We can be carried away by how many sleeps to Christmas or how many shopping days remain. It is wonderful to rejoice with the Babe in a manger but the context is very important. Advent will help all of us recapture the reality of what is actually ‘the reason for the season.’ We face a world in tragic turmoil. The great promise of Jesus is our stabilizing factor. He is our anchor in the storm. It is true Advent is predominantly acknowledged by the Catholic Church but there are protestants embracing the teaching too. The word ‘advent’ is from the Latin ‘adventus’ meaning ‘coming.’ It is designated to refer to the incarnation of Christ, or the ‘Parousia’ his second coming. 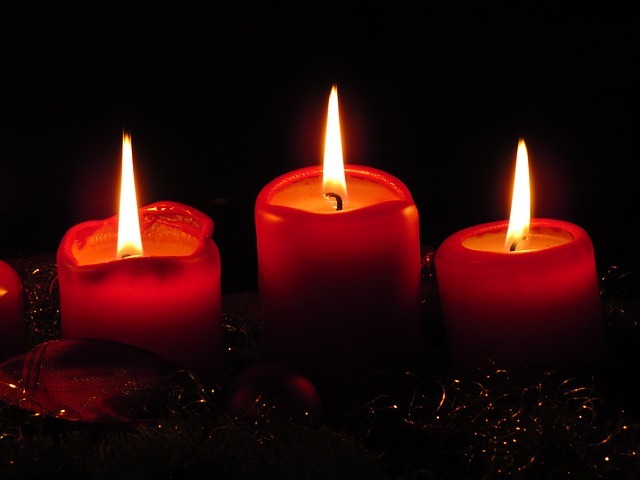 In western churches Advent is observed over the four Sundays prior to Christmas. In eastern churches it begins in mid-November. Our boldness as believers may well depend on how we really embrace the Advent message. Jesus is coming back. The battle has been won. We can walk confidently, as steadfastly as heroic Bonhoeffer, by embracing that truth. While we can rejoice at Christmas and thoroughly enjoy the generosity and grace of the Lord, He is no longer that Babe in swaddling clothes. I love this story. “Evangelist Luis Palau tells of a wealthy European family that decided to have their newborn baby baptized. Dozens of guests were invited to the elaborate affair, and they all arrived at the mansion dressed to the nines. After depositing their elegant wraps on a bed in an upstairs room, the guests were entertained royally. Soon the time came for the main event—the infant’s baptism. But where was the baby? No one seemed to know. The child’s governess ran upstairs and returned with a desperate look on her face. Everyone searched around frantically. Finally, someone recalled having seen him asleep on one of the beds. The baby was buried beneath a pile of coats, jackets, and furs. The object of that day’s celebration had been forgotten, neglected, and nearly smothered. The nations fill the news with their pride, arrogance, greed and selfishness. They speak wickedly of others and stir violence and sorrow. Our hope is in the Lord. This season we may panic about gifts for our loved ones. The greatest gift is already ours and we can rejoice in Him, no matter what.